Take a comprehensive look at the "balance sheet" of independent schools. The NBOA Financial Position Survey is designed to help facilitate important financial sustainability conversations vital to the health of independent schools. This brief but powerful survey collects approximately 50 data points from participating schools, which are then analyzed to determine key financial indicators and pinpoint emerging trends. Since analysis of past studies has confirmed that day schools are fundamentally different from schools with a boarding component, all the topics are segmented, with one set of data for day schools, and another set of data for schools with boarding. Furthermore, most of the dollar figures used in this study are on a per student basis. This is a way for schools to compare their numbers—apples to apples—with other schools regardless of size. This year, the Financial Position Survey returns after a one-year hiatus and will be collecting data for two fiscal years: 2014-15 and 2015-16. If your school has previously participated in the survey, the existing data is already loaded into the new NBOA data collection platform, but you may need to access additional data if the participation has not been continuous. If your school is new to the survey, you will need to have four years of data (FY12-13 through FY15-16) available. Reporting is now available for participants in the Financial Position Survey. Download a free copy of the 2011 Financial Position Survey. 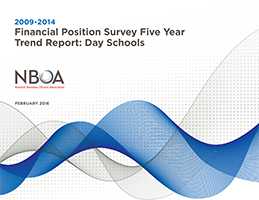 NBOA members can access the current and prior year reports below. Data points to help you determine salaries, staffing structure, and more. 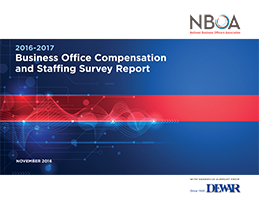 The NBOA Business Office Compensation and Staffing Study takes a comprehensive view of the compensation and organization of the valued people who work at your school. How many PK-12 day schools have an HR Director? How do the salaries of Chief Financial Officers compare with those of Business Managers? What is the salary range for a Controller in the San Francisco Bay metro region? This information is intended to assist your leadership team as you establish your school’s compensation levels and staffing structure. Download a free copy of the 2011 Business Office Compensation Study. 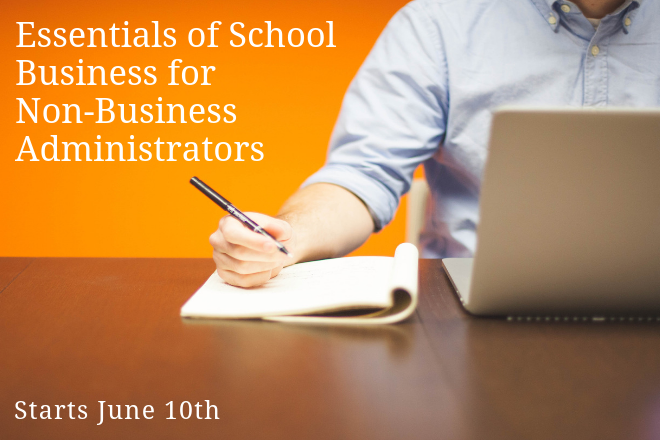 The most comprehensive survey of independent school business officers and their schools. As business officers, you rely on data to make decisions. In order to make the best decisions for your school, you need the best data possible. NBOA believes that the best data comes from you and your peers across the country. 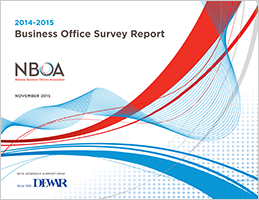 To that end, each year, NBOA conducts an annual survey of the business office. The results of this survey, combined with expert analysis, provide valuable industry data and trends on business officer demographics, compensation, staffing, economic issues, financial aid, budgets, and more. Information is also collected on FTEs, enrollment, average class size, and reactions to the changing economic climate. This study, introduced with a thoughtful and comprehensive executive summary, offers critical insight into the business officer profession. This one-of-a-kind survey provides an excellent resource for you and your school’s leadership team to assess trends within the independent school community. Use it to help you make the decisions that are top-of-mind for your campus. Download a free copy of the 2011 Business Office Survey. Although NBOA has standing research efforts each year, we also consider other research opportunities in areas of particular interest to our members. These studies are usually focused in nature, addressing a specific issue. While these studies may only be a one-time event, they provide valuable information for the long term. If you have an idea for a supplemental research study, please email Mary Kay Markunas at marykay.markunas@nboa.org. NBOA members can access current and prior year studies below. A host of challenges face the independent school community as we look to operate and maintain world-class facilities and infrastructure to support our world-class educational goals. NBOA partnered with SchoolDude and Building Solutions in this first-of-its-kind effort to establish a national benchmark for facilities and maintenance management, including budget and staffing levels in independent schools. Independent schools face significant challenges as they look to maintain current technology and incorporate new technologies to realize best practices and standards of excellence. To better understand technology challenges and prioritize resources, SchoolDude and NBOA partnered to conduct a survey centering primarily on the issues found within an independent school's technology department. NBOA and United Educators partnered in the Fall of 2012 to conduct a review of 1600 claims paid by United Educators between 2007-2012. This presentation reviews the results as well as providing a roadmap to help schools mitigate the risks for the most frequent claim types. NBOA partnered with ORION Investment Advisors to conduct a study of NBOA members' 403(b) plans. The report analyzes the results of the study with included 403(b) plan details of 52 institutions, representing over 10,000 employees and $700 million in plan assets. The report contains valuable information regarding plan fees and expenses, plan features, as well as plan design.